If your students have great repertoire for half notes, plus solid preparation strategies, they’re ready to move on to the presentation phase! 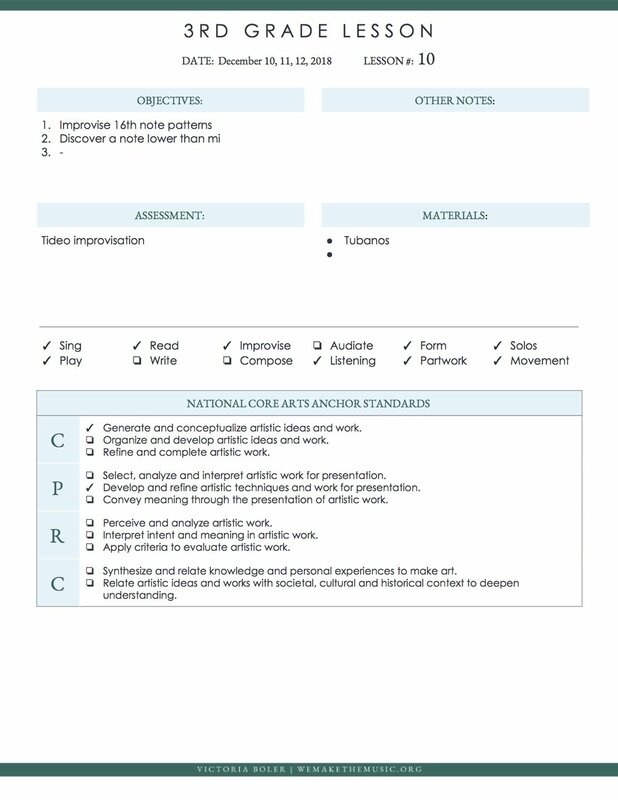 In the Kodaly philosophy, the presentation phase is where students learn the real name of the element they’ve been using. I love this approach because it reminds me that the name of the element itself does not have as much meaning as many teachers would be lead to believe. The name “half note” is simply something we assign to a two beat sound to make communication between musicians easier. Memorizing the label and shape of the notation has little significance when we put it in the context of experiencing how a half note feels, sounds, and how we can use it. With these activities - or your own favorites - we're ready to move on! I wrote about some of my favorite songs for teaching half notes here. You can go to that post to see how I use each song, and get directions for downloading the sheet music. 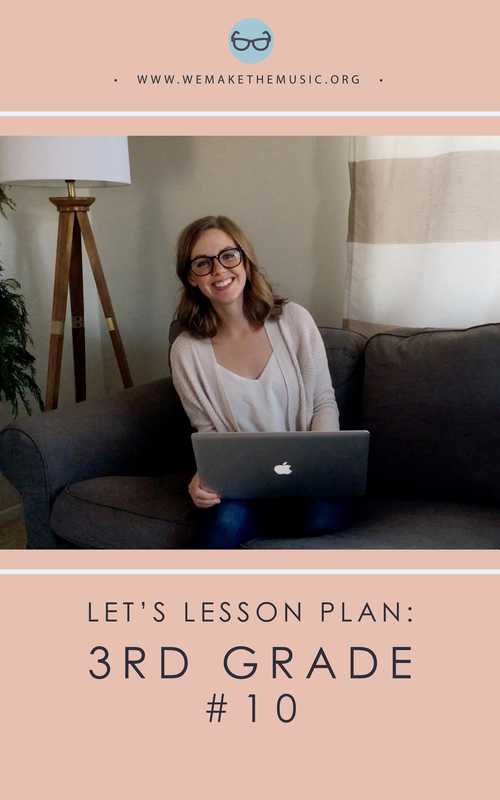 Before we present the name of a half note, we need to be sure students are ready to move on from the preparation phase. That’s where our presentation test comes in. I want to make sure my students have had lots of experience with this element, but the thing I care most about is aural skills. Can they aurally identify a half note? If they can, I know whatever mistakes they make in performance of a half note will sort themselves out. That said, in my classroom the presentation test is essentially an ear training test. Whole-Class Test: The teacher will sing a phrase from a known song on “loo” and the students will echo back on ta, ta-di, and long. With the data back from your test, we can move on to presentation. However, if the results of your test show that most students aren't ready to move on yet, don't push them before they're ready. You've still had a wonderful preparation activity and gained some valuable data! Take a few more lessons to prepare half notes and circle back around to presenting in a week or two. If it is time to present, sing a song your kids both know and like - something from this post would be perfect. For this example, we'll use the American folk song, Who's That. Tell the students that musicians have a special name for “long”. When we hear a sound that lasts for two beats, we call it a “ta-a”. The real name for a “ta-a” is a half note. Sing part of the song that contains a half note on rhythm syllables. Try with another song or another portion of the song that contains half notes. Tell students that musicians have a special way to write a half note, and show the notation on the board. 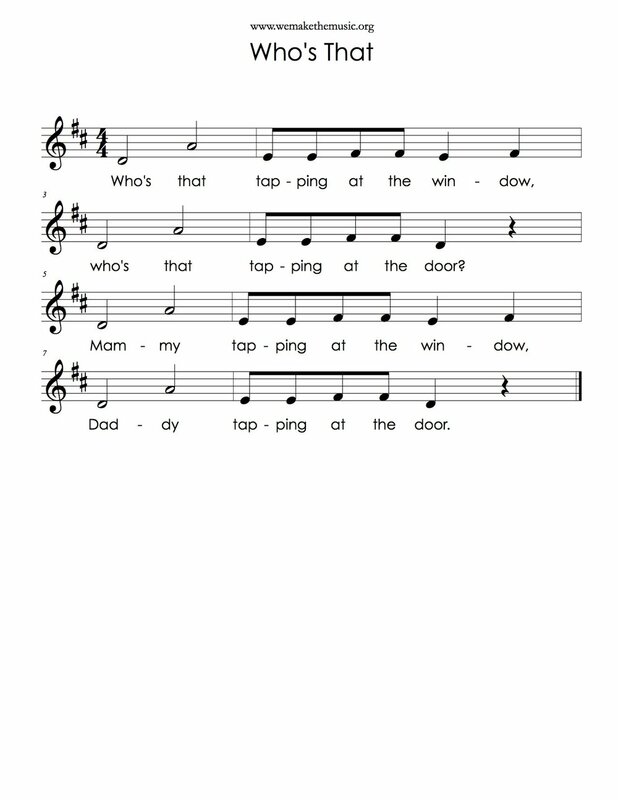 Have students help you write out a target phrase of a song containing half notes. Sing the target phrase on rhythm syllables while students point to the board. The formal practice phase will take up the next several lessons, but I like to include it here so to help students bridge the gap between the two phases. By this point in the lesson students have been sitting down a lot! It’s time to get moving - which means we need a game. Bluebird Bluebird is a great one for this. Students should have plenty of experience playing this game, and they should know the song very well. Then, ask students to play the game while they sing on rhythm syllables. The presentation phase is the smallest of the three in the Kodaly philosophy. It matters that students all elements by the correct names, but it’s more important that they understand what these elements sound like, feel like, and how to use them. Next week we’ll look at some specific ways to practice half notes!